Apprehensions of the Indian Army are genuine, but this is a battle that cannot be won in the civil courts. 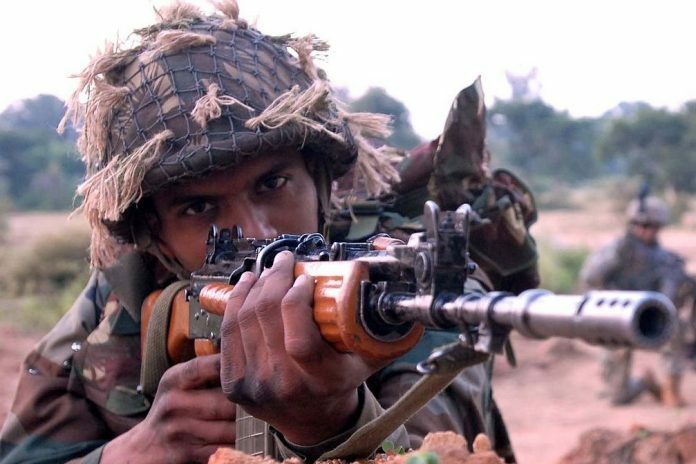 Two observations of the Supreme Court over AFSPA could significantly impact the psyche and operational practices of soldiers fighting counter-terror operations. The Supreme Court last week rejected the plea of over 300 Army officers and soldiers who had raised concerns on dilution of the Armed Forces Special Powers Act (AFSPA). The trigger for this unprecedented action of hundreds of Army personnel moving the apex court was the judgement of July 2016 in which the court had ruled out the ‘concept of absolute immunity’ for the Army and police. I am neither going into the overall merits of the judgment, nor advocating that we ignore human rights violations. I will only attempt to put the Army’s concerns over AFSPA in the correct perspective. The first is related to ‘excessive use of force’. The court observed that even if the victim is an enemy, an inquiry could still be ordered if excessive force is used. With this yardstick, almost every encounter with terrorists could become the subject of an investigation. There is a simplicity to our peaceful lives that is in complete contrast to conflict situations faced by soldiers on a daily basis. If terrorists are holed up in a heavily fortified house, the use of explosives to bring down the house could easily be classified as excessive use of force. The alternative to this is to send soldiers to physically clear the house with a high chance that some of them could be killed. No officer should have to be put in such a situation where he has to weigh personal legal harm against the moral dilemma of putting his soldiers in harm’s way. The court also ruled that even after the Army had investigated any allegation, investigations by other agencies were not ruled out. Further, “in the event of an offence having been committed by any person… the proceedings in respect thereof can be instituted in a criminal court subject to the appropriate procedure being followed.” These observations completely dilute the existing military justice system. There is criticism today of the military justice system being obsolete and flawed. However, the fact is that this system has stood the military in good stead. It is an institution that must not be weakened only for the sake of taking a moral position, without understanding the uniqueness of the military profession. The military justice system is meant to preserve efficiency, good order and morale, and it has effectively ensured high standards of discipline in the Indian Army. The faith of soldiers in the military justice system remains strong because there is confidence that those dispensing justice have a clear understanding of the Army’s way of life. If this faith is eroded by diluting the provisions of the Army’s courts of inquiries and dragging Army personnel to criminal courts, it will adversely affect how the Army operates. It is likely that counter-terror operations will be characterised by caution and a play safe attitude. This is perhaps a good time to review the AFSPA. This act has long been criticised by civil society groups as being draconian, but an amendment to the act was strongly opposed by the Army on the grounds that it is an enabling act that provides the required protection to soldiers operating in disturbed areas. This may no longer be true. Therefore, a new legislation is required that would address the concerns of soldiers as well as strengthen respect for human rights by dealing swiftly with any violation. The action must now shift from the Supreme Court to the Parliament House. Lt Gen. D.S. Hooda (retd) is former General Officer Commanding-in-Chief of the Indian Army’s Northern Command. Need of AFSPA is actually not well understood by most civil agencies for two reasons. One, seldom do they foresee the impending danger to national security as it doesn’t affect the normal life and times abruptly. Secondly modus operandi of armed forces is not known to them. Thus they are also unaware of employment methods. They do not understand the training philosophy of the forces. To start with when these govt agencies come to interact with armed forces, we must appraise them and not be subservient. We tend to go overboard to impress by being extra sweet. The higher rank guys need to assert and take stock. Shah Faesal has urged that AFSPA be made allocable to the cow belt to deal with the menace of gau rakshaks.